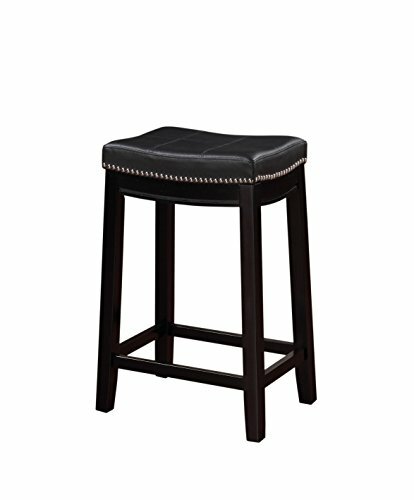 The Claridge Black Counter Stool will add stylish seating to any counter or high top table. The sturdy wood frame has a black finish accented by a black vinyl upholstered seat. Nail head trim and accent stitching adds a patchwork design to the top for an e.